Dan Cohen, Steve Dalton, Richard Pearce-Moses, Gregor Trinkaus-Randall, and Nancy Heywood enjoying the Annual Conference. Photo credit: Molly Stothert-Maurer. 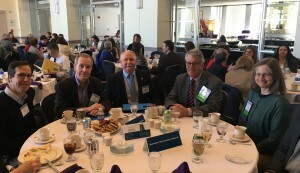 On April 5 the Digital Commonwealth held its 10th annual conference and 10th anniversary celebration at the Hogan Center at the College of Holy Cross in Worcester MA. It was the largest conference in years and afterwards over 90 people joined us to commemorate the anniversary. 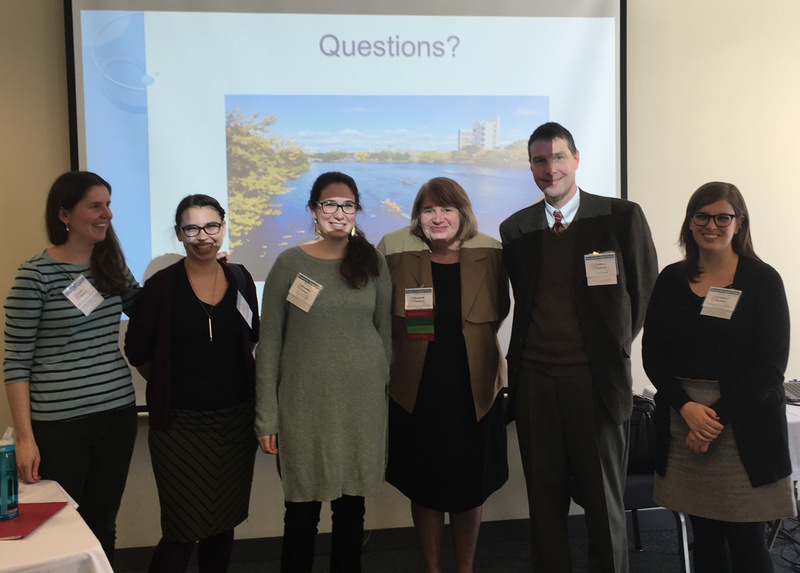 Thanks to the hard work of the conference committee and our excellent speakers and sessions, we had nearly 200 people at this year’s conference — the best attended conference in recent years. 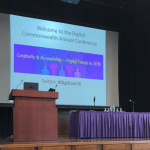 Many presenters’ slides and presentations can be found on the Digital Commonwealth conference web site. You can also download our final conference program to learn more about the speakers at this year’s event. The anniversary reception gave us all the opportunity to acknowledge and celebrate the creation and growth of Digital Commonwealth. Digital Commonwealth President Elizabeth Thompson shared remarks prepared by Greg Pronevitz of the Massachusetts Library System, a key player in the formation of Digital Commonwealth. Carolyn Noah, Gregor Trinkaus-Randall, and Bill Talentino shared memories of the growth of Digital Commonwealth. David Leonard, Director of Administration and Technology at Boston Public Library and Dan Cohen, President of the Digital Public Library of America, gave their perspective of Digital Commonwealth as partners on a common journey. Elizabeth Thomsen speaking at the 10th Anniversary Reception. 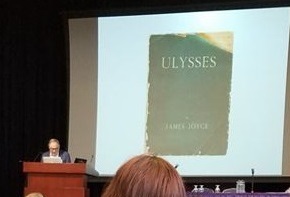 Photo credit: Jean Maguire. It was a great opportunity to gather together, reflect on what we have accomplished and set our sights on the future of the Digital Commonwealth and our partners. We thank you all our members and all those who attended the conference this year. If you attended the conference, and have not yet done so, please share your feedback by completing the online evaluation form. We hope to see you all at the 2017 Digital Commonwealth Annual Conference! Don’t miss another great Digital Commonwealth conference and our 10th anniversary reception. The conference will be held on Tuesday, April 5, 2016 at the Hogan Center at the College of the Holy Cross. For the past 25 years, libraries, archives, and museums have been digitizing their collections for access and, increasingly, as a preservation alternative. The pace, scope, and scale of these activities have increased dramatically. So too have new efforts to combine digital collections from individual repositories into large scale aggregations that promise improved search and discovery capabilities. The 10th anniversary reception will take place at the Hogan Center, immediately after the conference. 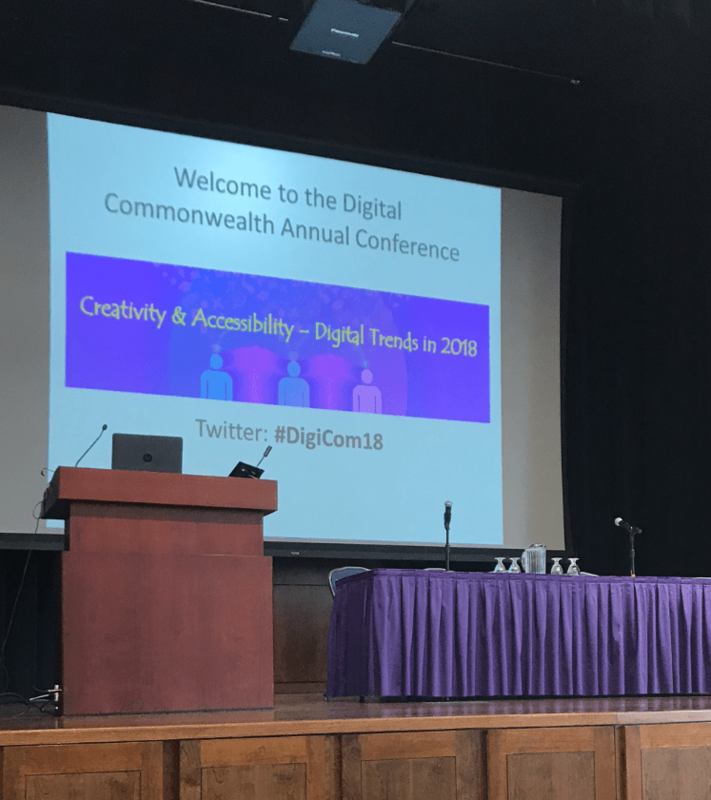 Early bird registration ends on March 23rd, so make sure you sign up today for the annual 9th Digital Commonwealth Conference. The Conference “Cloud Bursts and Brain Storms,” will be held on April 2nd at the Hogan Center at the College of the Holy Cross in Worcester. In addition to the two keynote speakers, Clifford Lynch, director of the Coalition for Networked Information, and Dan Cohen, executive director of the DPLA, the conference will also feature many interesting breakout sessions. 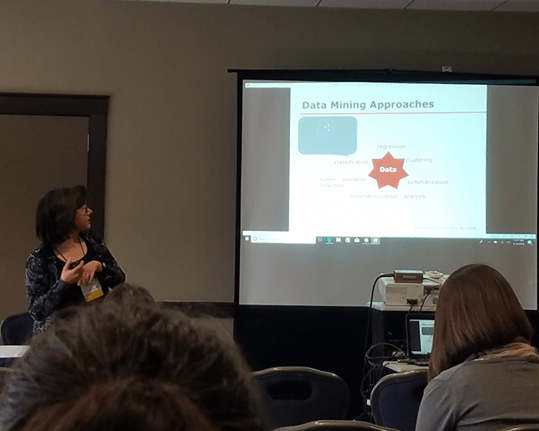 Some breakout sessions include Packaging Collections for Public Consumption with Sara Slymon and Elizabeth Thomsen, Copyright Issues and Libraries with Emily Kilcer and Kyle Courtney, The Policy Cycle with Diane Brenner and Ed Lewis, and our ever popular Rapid First Inspiring Projects. We hope we’ll see you there! The 2014 Annual Conference is approaching! 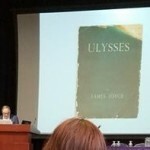 April 8 at the Hogan Center, Holy Cross, Worcester. Registration begins at 8:00 am and sessions will run from 9:00 pm – 4:00 pm. Full details available on the conference web page. Registration is now open for “Practically Digital: Doing What it Takes”, to be held on Tuesday, April 8th, at the Hogan Center at the College of the Holy Cross in Worcester. 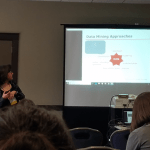 The conference will feature keynote sessions by Melissa Levine, the Lead Copyright Officer from the University of Michigan Library, and Liz Bishoff, of the Bishoff Group. In addition, staff from the Boston Public Library will be on hand to provide metadata consultations throughout the day.